Last week, the Sea to Sky Invasive Species Council (SSISC) removed Wild Parsnip from a small area next to Lillooet Lake Road. Wild Parsnip is an invasive species that contains a highly toxic sap that can cause severe burns and blindness if it comes into contact with the skin or eyes. It is highly competitive and will continue to spread and outcompete native vegetation if not removed. Because of Wild Parsnip’s toxic nature, the SSISC carefully selected a herbicide to remove it. The use of this herbicide requires a 10-metre buffer from any waterbody. 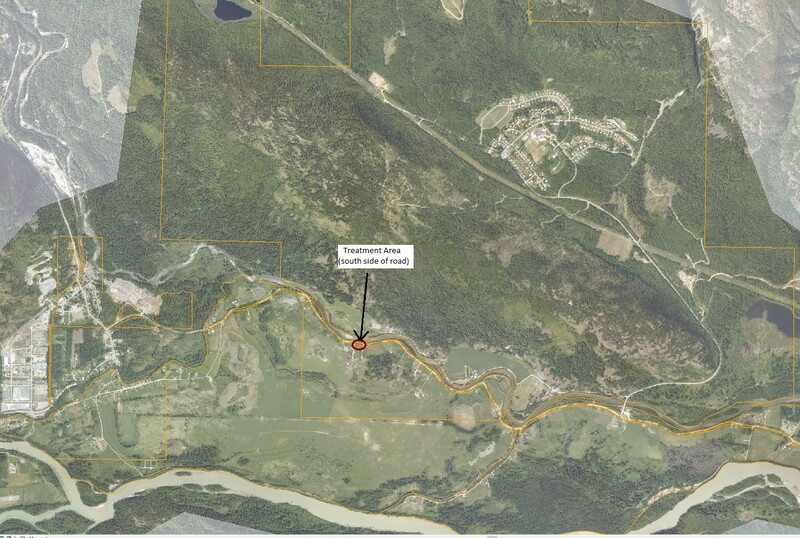 In this case, there was a 20-metre buffer between the river and the application site. The plants were sprayed directly, close to the ground, and during low winds to minimize any herbicide drift. The herbicide used will not impact the grasses on site and the SSISC will also be reseeding the area with native vegetation to encourage the growth of native plants. For more information, please contact Julia Poetschke, On Reserve Lands Officer (julia.poetschke@lilwat.ca or 604-894-6115).